I’m an unlikely vegetarian. I actually love and miss meat, but I can’t bring myself to eat it, so I’m always trying to make vegetarian versions of meaty things I used to love in my past life… cheesesteak, pulled pork, buffalo chicken, bacon, and especially this vegetarian meatballs recipe! 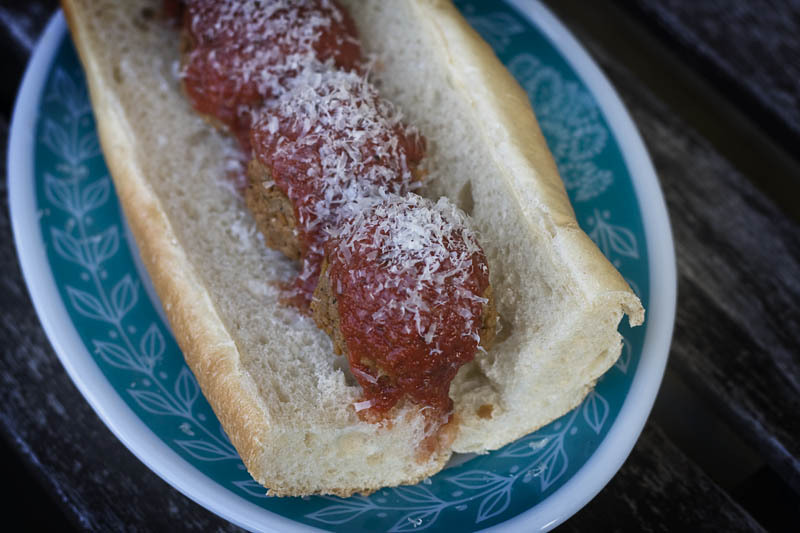 Meatball grinder day was my favorite school lunch day. When I got to junior high, meatball grinders were an alternative lunch choice every day, and I ate one pretty much every school day for three years. In retrospect, those meatballs were pretty gross, and they probably came out of a can. But there were also a fair number of great pizzerias in my hometown, which made delicious toasted and smothered in cheese grinders with meatballs that most definitely did not come out of a can. Mix the TVP with the boiling water and set it aside for at least 10 minutes. Sauté the onion in a bit of olive oil until it softens, then add the TVP and seasonings. Cook it for a few minutes to let the flavors meld, then mix in the flour. Let the TVP mixture cool slightly, then form it into balls and place them on a greased cookie sheet. I use a cookie scoop to make them a uniform size. Bake them at 350 degrees (175 degrees Celsius) for about 20 minutes, until they’re lightly browned. 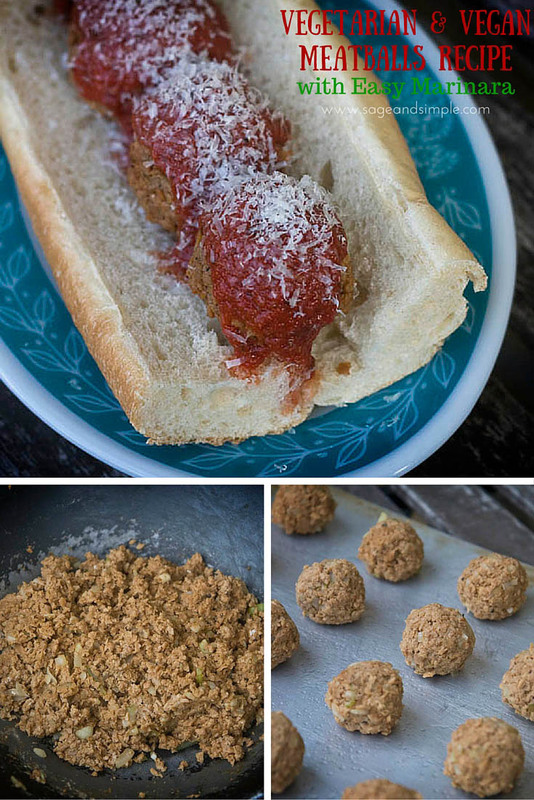 I’m not a huge spaghetti and meatballs fan, so when I make this vegetarian meatballs recipe, I eat them in a toasted baguette with marinara (recipe below) and a bit of Grana Padano. Empty the tomato paste into a saucepan and whisk in a can’s worth of water. 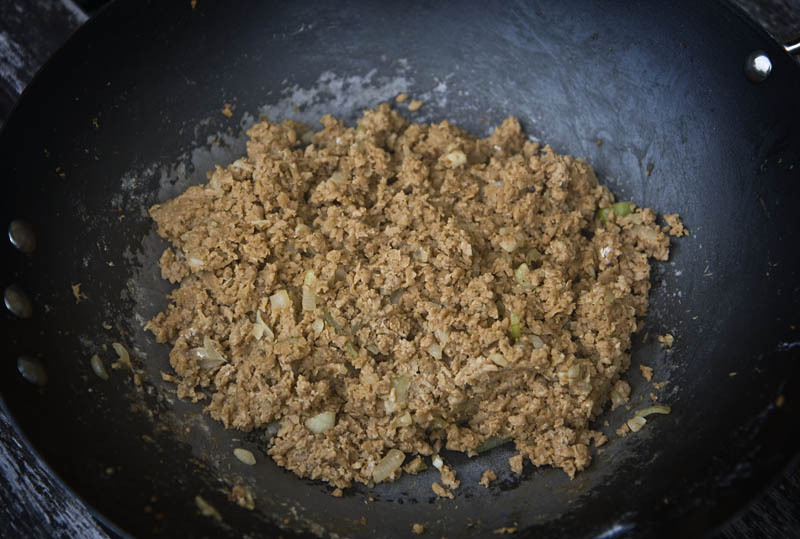 Whisk in the remaining ingredients and a bit more water, until it’s a consistency that makes you happy, then simmer it over medium heat for 5-10 minutes. These meatballs look really delicious! I’ve often contemplated making the switch to vegetarianism, and I’d love to try this recipe. This looks like such an easy recipe, too! These look very good. I wouldn’t think it was vegetarian by the pictures. I have never tried to make a vegetarian dish like this because I thought it would be difficult but clearly it is not! Thank you! 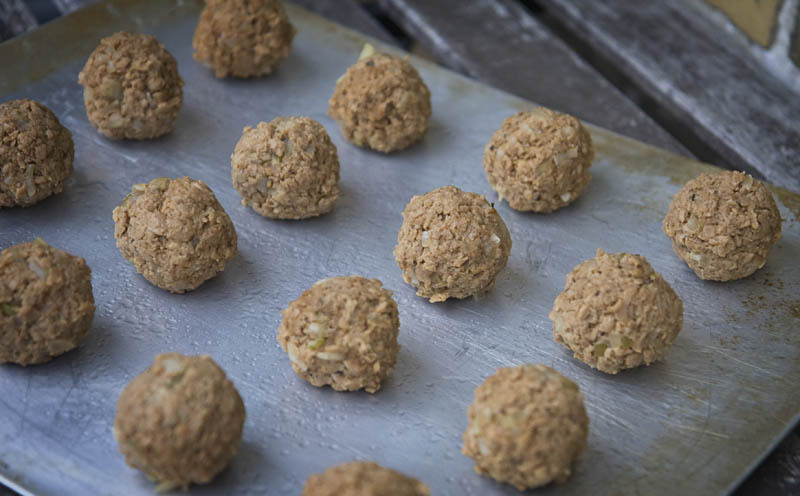 It’s quite possibly even simpler than making real meatballs, because you don’t have to deal with the grease! This sounds like such a good alternative to greasy meatballs! I’m partial to more vegetarian dishes (as I was a vegetarian for 6 years before I had kiddos). Definitely going to try this one! These look delicious and it looks just like meat! I love all your veggie recipe ideas! As a self proclaimed meat connoisseur I have to say I don’t think I could ever totally say goodbye to meat. But this recipe is one I think I’d really like. It really looks like meat! That looks absolutely delicious. I think I am going to enjoy this a lot. I am not a vegetarian, but I am avoiding beef and pork because of a health issue. I can’t wait to try this. These look so good! I am not a vegetarian but can do without meat quite easily. Thanks so much for the recipe! Oh my gosh thee look really good! I can’t believe I have never thought to make vegetarian meatballs before!! As a vegetarian I sometimes get jealous of the food like this he eats. I’ve been able to find veg-friendly alternatives to most of the meat dishes I miss. Living in Denmark where vegetarianism hasn’t really caught on, that’s saying something! I’ve definitely become a more inventive cook by living here, but I really miss things like Tofurky. I haven’t been able to replicate anything close to it at home.